Kira needed an escape. From her crush, her love, and now her demise. Their fifth anniversary fell on the first basketball game of the season, and Seth had invited several of his friends over to watch it. Kira planned out the food: five platters were more than enough for the match, especially if spread out at equal intervals. The antipasto, cheese, and cracker platter would go out first, the sandwiches second, the sausage rolls and sauce third, and the mini-quiches fourth. The last dish would be a selection of mini-cheesecakes. The sandwiches needed to be fresh so making them would wait until morning. Kira looked around the house one last time—it would have to do. She needed to concentrate on making the mini-cheesecakes and, if their anniversary day went according to plan, Seth would take her out to dinner after the match. The year before had been a failure. The promotion Seth expected had been given to a junior in the firm, one with far less experience, and he had returned home in a foul mood. Seth was always complaining to Kira about the insurance work his firm conducted. He had taken the job when doctors told him he could no longer play basketball due to the damage in his knee, and Kira watched as the passion Seth once held for basketball dwindled to almost nothing. The only time she saw it return was when a match was on, or when he was coaching the local junior team. He no longer attended a game in person unless his junior team was playing. The morning of their fifth anniversary dawned like any other day. Kira woke up and made Seth’s breakfast before he left the house to buy a selection of beers for the game. Kira spent her morning making those sandwiches. As game time neared, the doorbell buzzed and Kira jumped. With her hands shaking, Kira straightened her crease-free dress and peeked out the kitchen door into the lounge room. Somehow Seth’s friends had managed to arrive as a group. Most of them wore the red, blue, and white of the opposing team while Seth and two others wore the green, gold, and brown of Seth’s former team. Kira loaded beer onto a pre-cooled tray and carried it into the lounge area, waiting by the couches until they all had one. She then returned to the kitchen and looked around. The sandwiches were symmetrical on their platter and the antipasto tray and mini-cheesecakes were ready. The mini-quiches and mini-sausage rolls would need reheating before she served them. The time for the mini-sausage roll platter arrived, even if the other two dishes were not yet empty. Kira took the mini-sausage rolls from the oven and carried the platter to the lounge, placing it on a tea towel between the other two platters on the coffee table. Hands swarmed over the dish as soon as she put it down. Something hard hit her in the hip—she had blocked Seth’s view of the match. Kira sidestepped out of the way, gathered the empty beer bottles and returned with another round of cool beers. They disappeared off the tray as she carried it around. Between her runs into the lounge room, Kira cleaned the kitchen. Everything needed to be ready for Seth’s inspection at the end of the match. The noise of the television disappeared under a mass of loud conversation, and Kira peeked out from the kitchen. Seth had a grin on his face as his friends gathered at the front door. They were leaving. Unsure whether Seth would want the leftovers the next day, Kira grabbed the trays from the coffee table and covered them to put into the refrigerator. Fetching a garbage bag, she cleaned the lounge room of beer bottles and crumbs. It would need a proper vacuum, she realized, but Kira never vacuumed while Seth was home. Whenever she tried to, he would complain that it gave him a headache. Kira heard the front door close and she looked around the kitchen. She had done it—the leftover food was put away and the counter and sink were sparkling again. Seth entered the kitchen and turned to her. Kira nodded, trying not to smile. The green dress Seth had bought her was lying on their bed, along with the shoes, jewelry, and make-up he expected her to wear. The dress matched the tie Seth had bought himself for Kira to give him. None of the presents she had ever bought him were good enough. Less than an hour later, Seth blasted the car horn and Kira hurried from the house with her shoes in hand. She locked the front door and hopped in the car. Seth reversed out of the driveway while Kira was closing her door. She struggled to put on her seatbelt and then managed to slip on her shoes. The Point Restaurant was the only place Seth ever took Kira for their rare nights out. The tables, with their bright red cloths and matching chairs, were close together and set with crystal glasses and polished silverware. The bread plates had red filigreed rims that matched the pattern embroidered on the tablecloths. A waiter led Seth and Kira to a table sitting snug against the bench seat lining the wall and pulled it out. Kira slipped behind the table to sit on the bench seat—Seth would not sit on anything except a regular chair—and the waiter pushed the table back, locking her in place. Seth took the chair opposite her, and the waiter handed them their menus. Kira laid hers unopened on her bread plate while Seth opened his. The aroma of frying onions and garlic drifted out of the kitchen. Whatever they were cooking, Kira wanted to order, but the choice was never hers. The waiter returned with his order pad and pen at the ready. “She’ll have the mushroom ravioli, and I’ll have the pumpkin soup. Then she’ll have the lamb rack, and I’ll have the pork ribs,” Seth said. The waiter wrote it all down, glancing at Kira with furrowed eyebrows. They handed him their menus and he left. Kira picked up the carafe of water the waiter had placed in the middle of their table and filled each of their glasses. A woman sitting at the table next to them stood to leave and tried to squeeze between the two tables, knocking over Seth’s glass. Despite spilling water onto the back of her own pants, the woman ignored it and kept going, straight to the bathroom. Seth glared at her as she walked away. Kira took the napkins from the empty bread plates and started to mop up the spill, while their waiter rushed over with extra serviettes and a fresh glass. The waiter peered at Kira, which caught Seth’s gaze. Seth’s brows furrowed. The waiter left with the waterlogged napkins and returned with their first courses, hovering near Kira. “We’ll call you when we need something,” Seth said. The waiter proceeded to serve the other patrons around them but steadied his gaze on Kira. Seth jerked his head as he watched the waiter, spilling pumpkin soup on his favorite shirt. Kira knew there would be punishment if she did not get the stain out. She winced at the flashes of what that punishment could be. Kira had chosen Seth over Ethan—Seth had a passion about him that Kira could not ignore. Basketball was Seth’s life and Kira wanted to be there every step of the way. Seth even called her his “good luck charm.” Their first year ended on a sour note, though, because Kira had missed the final match of the season to tend to her brother who shattered his leg in a car crash. When Seth then suffered the basketball career-ending knee injury during that match, he blamed Kira. The punishments started and had yet to vanish. Kira had hoped the punishments would disappear and Seth’s passion for life would return, but she only saw glimpses of it. As she ate her ravioli, Kira examined Seth. The tension between them might never vanish, and Kira realized that leaving might be her only option. If Kira did leave, Seth would not survive without her. She did everything for him—she doubted he even knew how to do basic housework. Not having a clean house would drive Seth to despair, and Kira was not about to let that happen. She was trying to ignite that small spark of passion she saw, not extinguish it. As soon as Seth finished his soup, Kira laid down her spoon as if she was also done. Unfinished ravioli remained in her bowl. Seth waved the waiter over. The waiter nodded and removed the dirty dishes while gazing at Kira. By the time their entrees sat before them, Seth’s face had reddened and he repeatedly flexed his hands into fists. Seth caught the waiter stealing glances at Kira as he pounded meat from the ribs, tearing it from the bones. Kira hurried through her dinner so she could get Seth out of the restaurant before he started an incident. The night was turning out to be not what she had hoped. As soon as Seth finished his ribs and wiped his face, Kira groaned. Seth’s gaze snapped from the waiter to Kira. “Wait by the car,” Seth said. Kira struggled to get out from behind the table, ensuring she did not knock anything over and hurried out of the restaurant. Seth waved their waiter over to him. Looking at her reflection in the car window, Kira did not have any hope of fooling Seth into believing she was ill. She licked her fingers and moistened her forehead to appear as if she was sweating. She heard shouting from inside the restaurant and groaned, for real this time, when she recognized Seth’s voice. What the voices were saying was not comprehensible, but Kira expected that Seth was complaining about the waiter watching her while they dined. Seth stormed out of the restaurant, marched over to the car, and unlocked it. He started the engine and began driving away before Kira was in the car. Kira braced herself and managed to pull herself into the car and close her door. She latched on her seatbelt and noticed Seth’s white knuckles taut around the wheel, his furrowed gaze on the road. The speed they were traveling made Kira dizzy, as everything flashed past her. She braced herself against the seat and closed her eyes to prevent herself from throwing up. Vomit in Seth’s car was not going to help the situation. The car squealed to a stop and Kira opened her eyes expecting to be home, but they were somewhere else. They were outside a familiar house—a place they had gone to for barbecues, a place where Kira felt uncomfortable and had tried to remain as unnoticeable as possible. It was the home of one of Seth’s friends. The light outside the front door switched on, illuminating Seth as he stomped up to the door. Not sure whether to get out of the car or not, Kira waited and watched to see if Seth went inside. Seth’s friend popped outside for a moment and none of their conversation made it back to the car for Kira to overhear. As soon as Seth returned to the car, the friend returned inside and the light switched off. Seth sped off again, and Kira closed her eyes, gripping the seat tighter than before. Seth slammed the car to a halt in front of their garage. Kira shook as she hopped out of the vehicle and followed Seth into the house, closing the door behind them. Kira hurried to their bedroom to get away from Seth quickly. As slow as possible, she changed into home clothing and took off her makeup. Kira gulped and walked to the living room. With clenched teeth and fists, Seth came toward her and Kira started to back up, but she had positioned herself too close to the wall and it obstructed her movement. Seth stalked toward her and laid his hands flat against the wall, one on either side of her head, locking her in place. He leaned close to her face, letting his hands slip down the wall a little. The dress had reached Kira’s ankles and draped onto her collarbones. It had been less revealing than the dress she had worn earlier in the day while serving his friends. She tried to find the words Seth was waiting for, but nothing more than a squeak escaped her mouth. Seth moved his hands closer and closer to her until they were around her neck. Kira tried to drop out from under his grasp, but he locked her in place with his legs. His hands tightened around her throat, her blood struggling to pass by his hands. The sleeves of his shirt were too slippery for her to hold onto and break his grasp. Dots blurred her vision, and a hollow echo rang through her head. The injury changed him, Kira. You won’t survive a relationship with Seth now. These were the last words Ethan had said to her before she blocked all contact with him. Kira did not believe him and trusted Seth instead. Ethan is jealous of our relationship, Seth said. Thoughts tried to anchor themselves in Kira’s head but then drifted away. Her mind sank into darkness. Kira awoke on the living room floor, her legs pressed up against the wall. Her neck spasmed as she straightened it, and she winced. Any weight Kira tried to put on her legs made them shake; it was too much for her to stand. She crawled across the floor to the couch and pulled herself onto it. Her phone was still under the coffee table, where she had left it since Friday, after Seth called her to check where she was. Missed calls. Ethan had tried to call her again while she and Seth were at the restaurant. He called every month, and each time she ignored it. Seth had changed her number twice to prevent Ethan from contacting Kira, but with each number change, Kira sent Ethan the number. Something stopped her from making the separation from Ethan permanent. Returning Ethan’s call would wake Seth, and he would punish her for doing so. Every abuse Seth had ever given her flashed through her mind. Tears filled her eyes and spilt onto her cheeks. Inconsequential actions and mistakes had led to them all, none of them deserved. It had taken too long for her to realize what everyone had warned her about Seth. She knew know she had no choice—she had to leave, but she did not know how. Kira texted Ethan. Even if she could not find a way out, she needed him to know she had tried. You were right. I’m sorry. Kira. That was all she dared to say. Too much between them remained unsaid for more words to matter. Kira heard the table in the hallway outside her and Seth’s bedroom scrape against the wall. Kira sank into the couch as far as it allowed, trying to make herself invisible. She heard the refrigerator door open, its light spilling into the living room. Seth pulled out a beer and returned to their bedroom, leaving the refrigerator door open. Kira struggled to her feet and cautiously stepped toward the fridge. She closed the door and returned to the couch, her muscles trying to trip her. Morning shined through the front windows and Kira heard a chair scrape against the kitchen floor. She jumped off the couch despite her aching knees. Sleeping on the sofa should not have made her knees hurt this bad—it must have been lying in that cramped position against the wall that caused the damage. Seth expected Kira to have his breakfast ready for him every morning because he liked to set his alarm later if he was to make breakfast for himself. Kira hurried into the kitchen. Seth was already sitting at the table with a bowl of cereal and an empty juice glass before him. Never had she witnessed him eat cereal—he hated anything bland. She flashed to one of her punishments, handed down for serving him oats. Kira grabbed the empty glass and went to the refrigerator, spotting a pamphlet Seth had previously anchored there. The pamphlet advertised the several hiking trails of a nearby forest. Seth expected them to go hiking during his holiday. Opportunities to escape him would be easy to find in a forest, Kira thought, and then she could get to a road and call Ethan. He might pick her up. Kira refilled Seth’s glass with juice and sat it before him. “Any plans for today?” she asked. Her throat hurt with every word, and her voice was raspy. Seth shook his head without looking her way. “We could go hiking,” Kira suggested. Kira backed out of the kitchen, not wanting to know the reason behind his smirk. Greying clouds gathered over their house, and Kira thought Seth might change his mind about the hike. He usually liked to hike on days full of sunshine, when nothing hurt his knee. Instead, Seth’s smirk grew as he noticed the clouds, and he hopped in the car. Kira frowned. She did not understand this turn in his behavior, as she had become adept in predicting it in order to guard against his punishments. Seth started the car engine and did not drive away until Kira was in the car with the seatbelt buckled. Their neighbors waved to them from their front lawn. Seth waved back. It was the first time he had ever done so. Kira paled, not wanting to know for the first time since they met, what thoughts were going through Seth’s mind. The drive to the forest was sedate compared to their journey home the previous night. The car park for the hiking trails was before the trailhead—they were the only ones to park there. Seth chose a path marked as a six-hour round trip. Kira figured she could spend the first three hours watching for a perfect place to escape and if she could get enough distance from Seth and find a road, she could call Ethan. Hopefully, he would pick her up. Seth carried the backpack with their snacks and water bottles, so Kira would not have provisions when she ran, but that would be fine as long as she knew where she was. Leaves, twigs, and gravel crunched under their feet as they followed the trail. The lookout marking the halfway point arrived sooner than Kira wanted. Several other trails led off the one they were hiking, but none would provide her with an advantage. Her only hope was Seth not noticing when she was no longer behind him. Even with his knee injury, he was faster than she was. For most of the hike to the lookout, Seth had not looked back. Kira knew she had a chance if she chose the right moment. By the time Kira and Seth reached the lookout, fog had rolled in, masking the usual view, and the clouds overhead had grown darker. An ominous shadow fell over the forest, and Kira realized that it would provide extra cover for when she ran. A chill wind blew through and she shivered. Seth stepped over the short wooden fence to the edge. “Come on, it’s beautiful,” he said, his back to Kira. Kira stayed where she was, contemplating whether the time for her to run was now. Lightning streaked through the clouds, and thunder reverberated around them. A deluge of rain came from above, soaking them. Seth turned to Kira with an odd grin on his face, and he stepped back over the barrier towards Kira. Kira backed away from him, her feet ready to make the decision her head would not. Seth grabbed Kira’s wrist and dragged her toward the barrier. Her shoes moved the gravel lining the trail as she tried to dig her heels into the ground. Kira had never seen him act this way, her instincts yelling at her to run. As he dragged her closer to the barrier, she tried again to dig her heels into the ground and stop. Seth yanked her further and Kira’s watch tore into her skin, causing blood to drip down her wrist. Seth tried to drag her over the barrier, but she wrapped herself around it and pulled herself free. He grabbed her again, but she kicked his injured knee and almost knocked him off the edge. Rolling away from the barrier was not going to be enough to escape him, or her death. Kira’s realization why Seth agreed to go hiking hit her like one of his punishments. A final sentence—an accident in the forest while they were hiking. Seth could lay all the blame on her, and she would not be able to explain otherwise to anyone. Her time was up. Kira got to her feet and started running back along the trail, hoping the kick to his knee would be enough to delay him. Kira heard gravel move behind her. She was not the only one running, and she did not dare look back to see where he was. Seth grabbed her from behind, almost tackling her to the ground. Kira slammed her elbow into his stomach, knocked his injured knee again with her legs, and he released her. She ran faster than before, even as she slipped on the gravel. As she ran, Kira noticed a narrow track that she had previously missed on their way to the lookout. It led off the trail so she turned onto it. It was her only hope; she knew she could not outrun Seth. Jagged brush scraped against her bare skin and caught her clothes. Branches whipped at her as she slammed through the foliage. No gravel lined this path, its dirt turning to mud. Another thunderclap echoed through the forest as lightning cracked a tree somewhere nearby. No sounds of pursuit broke through the snaps and crackles of the rain. Kira did not dare to look behind her but pushed her legs as fast as they would go, slipping on the mud as she ran. Torrential rain crashed through the foliage, soaking Kira. Each step took more effort than the previous one, the mud adhering to Kira’s drenched shoes. The lightning increased the length of the visible track. The thunder made her ears ring, blocking all other sounds. A sinking sensation filtered through Kira as the mud swallowed her to her waist. Tears welled in her eyes; she had failed. Seth would find her, and nothing she did would stop him from killing her. Kira’s vision blurred as she allowed the tears to fall. She slumped forward in the mud and waited. Lightning turned everything white for a moment, as thunder blasted Kira’s ears, the ringing incessant. A fire erupted close to the track she had sunk into, the rain dousing it before it could spread. Kira could not wait for death any longer—it would come or she would reach freedom. She scratched at the mud marking where her fingers sank and where they hit solid ground. The hole Kira had sunk into was not broad. Little by little, she pushed herself up with shaking arms, squelching out of the muck. But the mud was stronger than she was and sucked her back into the hole. She clawed at the ground trying to grasp anything rigid, but nothing except mud was within reach. Digging into the solidness beneath her finger marks, she dragged herself out of the hole. Exhaustion had taken over. Her muscles were tingling and cramping. All she wanted to do was remain lying on the ground and falling asleep. The mud pooled around Kira, denying her access to air. She pushed herself up and her legs shook with the smallest amount of weight, but she could stand. She retrieved a branch that lay in the mud and used it to test the track in front of her. Taking one step at a time, she continued along the trail. A cabin shrouded in darkness marked the end of the trail. If it provided nothing else, it would shelter her from the storm. Kira stumbled to the door and knocked. No answer. If anyone was inside, they might have mistaken Kira’s knocking for the wind. The handle rattled when she tried to open the door; its lock held it tight. She pushed against the nearest window and slid it open. All she could see were shadows, and she knew that nothing waiting for her inside could be worse than Seth. She climbed through the window into the front room; water and mud dripped from her clothes and oozed out of her shoes. The only sounds to reach her were from the storm. Rain pelted her as it came through the window; she turned and closed it, muting the storm. Her phone had no signal, but its torch dispersed the shadows. She avoided the furniture and entered the kitchen. Kira noticed candles and matches on a bench and lit one of them to conserve the battery on her phone. She checked the cupboards and discovered they were filled with packets of nuts and tins of fruit, baked beans and soup, and bottles of water. She searched the rest of the cabin, ensuring all the locks would hold if Seth found her and tried to enter. In the bedroom, she found a dresser filled with pajamas and clothes and the bed was covered with an excessive number of blankets. In the bathroom, the toiletries appeared to be for one person. In the front room, newspapers and a pile of cut wood sat beside the fireplace. The fireplace would provide plenty of warmth, but she knew the smoke and light would lure Seth to her. A chill seeped into her body. Kira stripped out of her wet clothes and shoes and laid them on the floor to dry. She put on a set of the pajamas and took a blanket off the bed. With a packet of nuts and a bottle of water, Kira wrapped herself in the blanket and settled onto the couch. The window overlooking the trail was before her—she could see no one. Silence filled the cabin with only the muted echoes of the storm outside. The nuts were not enough to quench her hunger, but she did not dare leave her view of the trail. If Seth appeared, she would have time to flee, even if it meant leaving her clothes behind and traipsing through the forest in the pajamas. Rain cascaded down the windows, creating a mesmerizing pattern. Kira’s eyelids grew heavy, closing quicker each time she forced them to stay open. Her head dropped to rest on the couch as she drifted to sleep, listening to the rain. Kira woke to Seth standing over her. She screamed and backed into the couch. An odd shimmer coated Seth and he did not react to her movement. She swiped at him, but her arm went straight through him and he vanished in a puff of smoke. Kira realized that the candle had burned out. Kira looked out the window and witnessed the green and yellow haze that had fallen over the forest and a rainbow piercing through it. No one traversed the trail. Kira had survived the night and wanted to survive the day. All she needed now was a phone signal to call Ethan and beg him to come pick her up. She returned the cabin to the way she had found it and took a pillowcase off the bed. It would hold all the packets of nuts and bottles of water she would take from the cupboards. She stripped out of the pajamas, folded them, and returned them to the proper drawer. Her clothes were still wet—they had not dried much at all—but Kira put them back on anyway. She ate a breakfast consisting of a tin of pears and a bottle of water. Not wanting to leave either of the two doors unlocked, Kira climbed through a kitchen window. She closed it behind her and tapped the wall of the cabin. It had protected her through the storm, and Kira might never find it again to thank its owner. Kira decided to avoid the path she had followed to reach the cabin and instead trekked through the forest. Her clothes finally started to dry, but her provisions were dwindling. Kira stopped and sat on a fallen log to eat some of the mixed nuts and drink the water. Something about the forest calmed her, letting her forget her troubles with Seth. All I have to do is find a road, a phone signal and call Ethan, she thought. If he did not come for her, she would follow the road until she found help. “Kira,” an unfamiliar voice called. Kira froze halfway through her meal, dropping her rubbish into the pillowcase. Her breathing faltered. Seth must have found someone to help him search for me. She would not return to him, not with her freedom within her grasp. Securing the pillowcase, she walked away from the log and the voice. She snapped twigs or scattered leaves with every step she took, making a beacon for the searcher to follow. “Kira,” another unfamiliar voice called. And then another person mimicked the same call. Flashes of clothing passed the trees near Kira. She heard branches snap and felt their leaves tremble. Kira realized that more than one person was searching for her and, if they found her, they could corral her and force her back to Seth. She doubted he would be traipsing through the forest looking for her if he had other people doing it for him. Kira turned and ran. She heard an engine roar and jumped, a grin spreading across her face. Golden orange light filtered between the thinning trees as she continued to run, her feet pounding against dirt more than leaves and twigs. Breaking through the trees, she darted onto a road forcing a car to swerve around her. Kira knew this car. The driver slammed on the brakes of this vehicle Kira knew all too well—it belonged to Seth. Her forehead started sweating and her skin went pallid. 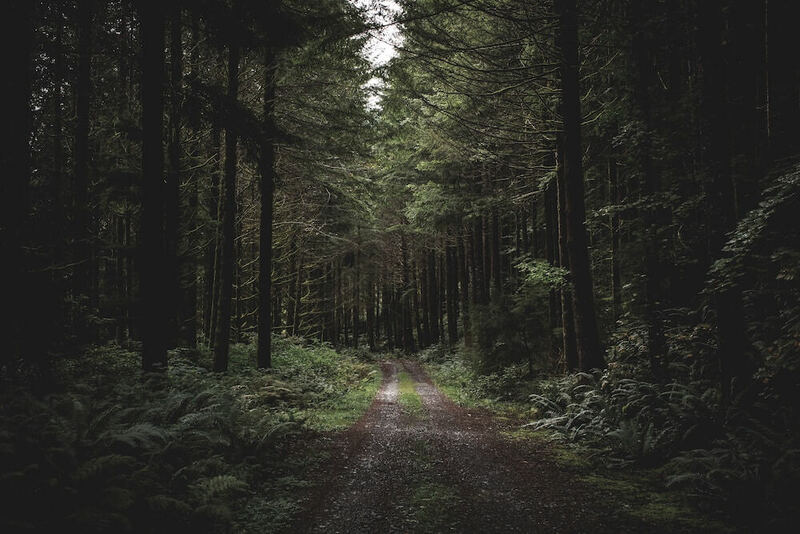 She dropped the pillowcase and ran along the bitumen, keeping close to the forest and putting as much distance as possible between her and the car. She could dart back into the woods if she needed to. She heard the tires squeal and the roar of the engine coming closer and closer to her. Kira pushed her legs as fast as they would go but they were starting to shake. The car swerved around her and blocked her path. She darted back the way she came and ran into the forest. “Kira,” a familiar voice called. It was Ethan. Kira slowed and wondered how he had found her. She had not yet called him, and her only recent contact was the text she had sent the previous night. He must have talked to Seth. If Kira could explain, if Ethan would listen, he might not take her back to Seth. Kira headed back towards the road. Upon reaching the road, she glanced towards the car and saw no one else in the car. She glanced towards Ethan, who was retrieving the pillowcase she had dropped. She stepped onto the road and tried to walk to him, but she dropped to her knees, her legs no longer willing to hold her up. Sobs racked her chest, her body shook and every muscle in her legs burned from overuse. Ethan ran to her and grasped her arms to help her stand. He held her and rocked back and forth from the force of her shaking body. Ethan then led her to the car and helped her in on the passenger side. Kira tried to keep it together as Ethan got in and turned the car around. He was driving towards the town where she lived with Seth. Kira peered at Ethan, not knowing where to start. She needed to apologize for not listening to him. She needed him to take her away from Seth. Ethan needed an explanation and the silence filling the car was taunting her. Kira opened her mouth to start but emitted nothing more than a whimper. Ethan peered at her, and then at the road. “The beginning would help,” he said. Kira nodded, and began with the first punishment. Once she started, she could not stop. The words flowed from her until her voice almost wore out. Ethan frowned, and his hands tightened on the steering wheel. She hoped he was not about to punish her as Seth would have. Ethan turned the car onto the road Kira knew all too well. Despite her explanation, Ethan had brought her home. She contemplated opening the door, jumping out, and running again. Kira looked out the window and saw the crowd that had gathered on the lawn before her house. Police cars idled at the curb, their lights flashing. Seth stood between two police officers at the end of the driveway. An unfamiliar vehicle was behind them, lower on one side than the other—it had to belong to Ethan. A flat tire would explain why he took Seth’s car to find Kira. But she did not understand the rest. Ethan pulled into the driveway and stopped the car. The police officers backed up a little, pulling Seth with them. Ethan got out of the car. Seth shot Kira a crooked smile, and she sank into the seat as low as the leg room allowed. Ethan was talking to the police officers who gestured towards Kira, but their conversation did not reach the car. Seth, still smiling at Kira, limped around to block her door. Kira locked it and stared out the windscreen, trying to ignore him. His arms were in an awkward position behind his back, and he tapped the window with his head. Kira tried to sink further into the seat but could not go any lower. Some of the faces of the people in the crowd were familiar. Some were neighbors and other residents from the street. A few of them were old colleagues and customers she had once enjoyed serving before Seth had convinced her to give up her job and all thoughts of ever having one again. Seth again tapped on the window with his head. Kira looked at him—he would not punish her with so many people watching. Seth started to say something but closed his mouth. Ethan and the police officers came toward him. Seth ran. The police officers caught Seth before he made it to the end of the lawn and pulled him toward their cars. The flash of silver around Seth’s wrists caught Kira’s attention. Ethan approached the passenger side door and Kira unlocked it but she did not have the strength to open it. Ethan opened it and helped her out of the car. Kira collapsed into him, her whole body shook, and tears streamed down her face. She felt the weight of the last five years lift off her shoulders. Stacy Baldwin is an emerging writer who lives in Brisbane, Australia. She is an associate member of the Alliance of Independent Authors and an associate member of the Australian Society of Authors. Read more articles by Stacy Baldwin. All original work attributed to Stacy Baldwin © 2019 Stacy Baldwin.